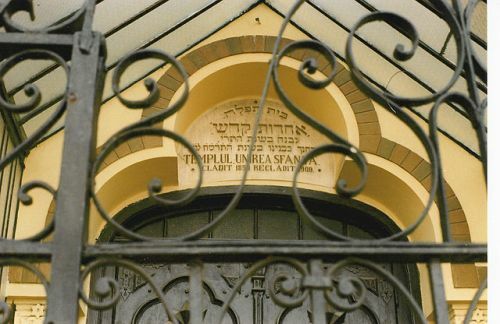 The Dr Moses Rosen Museum of Jewish History in Romania, housed in the 19th century Great Synagogue, traces the history of Romania's Jewish community. The Dr Moses Rosen Museum of Jewish History in Romania, housed in the 19th century Great Synagogue, traces the history of Romania's Jewish community. On display are Romanian Jewish paintings, theater memorabilia, books and religious objects.